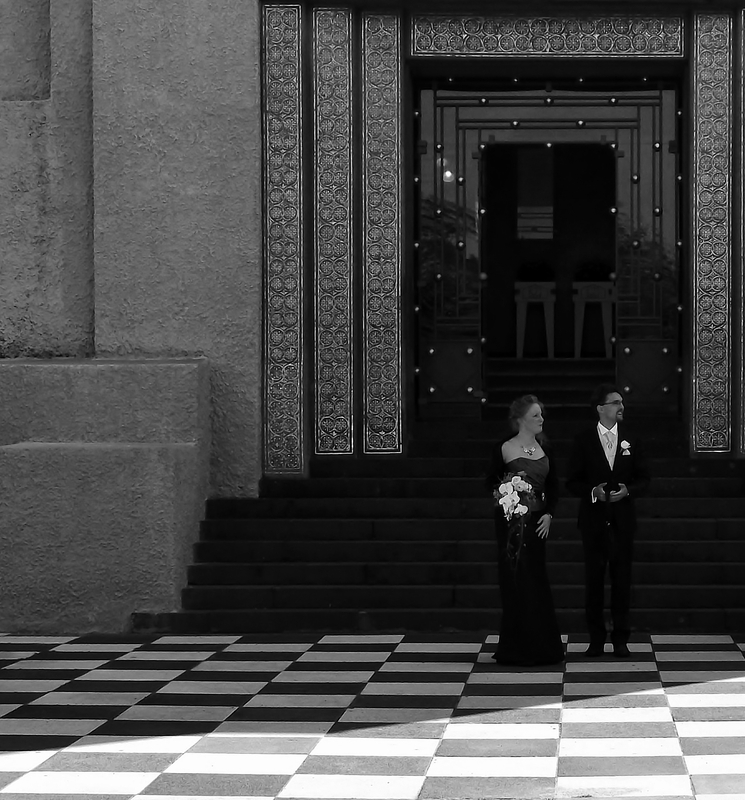 Monochrome Madness Week 6: A wedding in black and white. This is the pic I submitted to photographer Leanne Cole’s Monochrome Madness Week 6. The link to her site and the event is here. This photograph depicts an unknown couple after their vows in front of the so-called Wedding Tower, which is situated on the Mathildenhöhe in Darmstadt, Germany. Mathildenhöhe is the most beautiful Art Nouveau (Jugendstil) complex in Germany. Couples can get married in its Wedding Tower. If you want to take a look at the whole complex, go here. This is truly stunning!! I love how you saw this in B&W. Thank you submitting it for our challenge. Sorry I missed this week but I’ll be back next Tuesday. These photos are inspiring me! Thank you very much! I took this photograph in a site called Mathildenhöhe, the most beautiful Art Nouveau complex in Germany. It’s a very rewarding place to take photographs, there are a lot of interesting patterns and shapes. That’s interesting. Thanks for letting me know.